This listing is for a Oil Pump replacement kit for 1999-2009 GM 4.8L 5.3L & 6.0L Vortec's Vin Codes "H" "K" "Y" "0" "3" "B" "J" "M" "P" "T" & "Z".If the 8th character in your vehicles ID number is one of these letters, these are the correct parts for your engine. 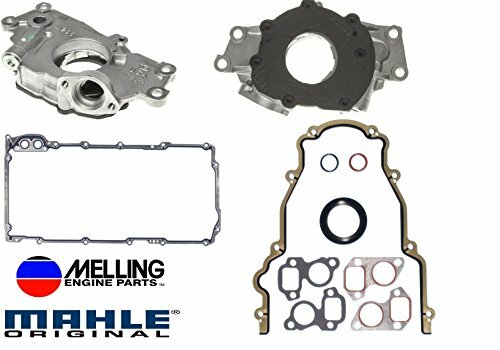 Parts included are Melling M295 Oil Pump, Mahle Original Oil Pan Gasket, Rear Main Seal, Water Pump, TimingCover and fron tseal gaskets. If you have any questions about this product by Guardian Engine Kits, contact us by completing and submitting the form below. If you are looking for a specif part number, please include it with your message.